With our love for pets, we thank the Humane Society of Ventura County for rescuing all of the animals that have been displaced, evacuated, and lost during these tragic days and we ask for the community's help in raising money for their efforts. 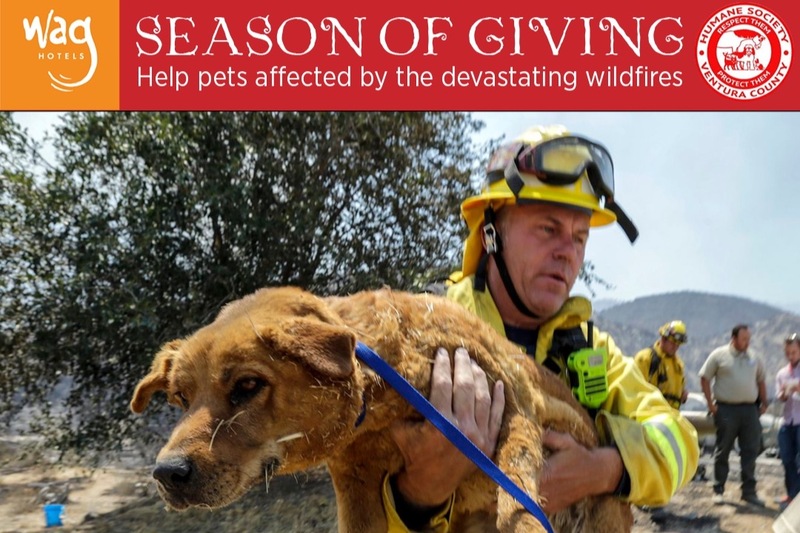 The Humane Society of Ventura County is currently in need of donations to their general fund in order to best serve evacuated animals from the Hill and Woolsey Fires being housed at the shelter. Thank you for your support! Wag Hotels is a dog daycare and boarding facility with locations throughout California. We see California as our home and these fires have been heartbreaking. We ask for your help to raise money for the animals who are struggling during this time. The Humane Society of Ventura County is a private nonprofit founded in 1932. We are not affiliated with the Humane Society of the United States or any national animal welfare organizations, nor do we receive any funding from the city, county or state. We are a private nonprofit that serves the people and animals of Ventura County. ONE HUNDRED percent of your donations stay right here to benefit directly the animals in our community.